1. With a screwdriver remove the thrust buttons from the piston pins. On some EL-740 Air Compressors a wire pin is used in place of thrust buttons. The wire pin can be removed with a small screwdriver by prying the wire pin out of the retaining hole. Discard the wire pin. Replace it with thrust buttons. 2. 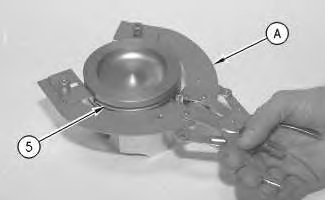 Press the piston pin out of the piston and connecting rod assembly taking care not to damage the piston. 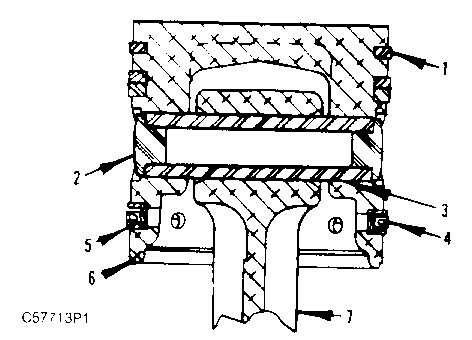 The piston may be heated for ease of removal. 3. 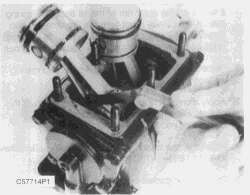 Remove the oil rings from the pistons using a piston ring expander, if necessary. 4. Discard all oil rings.